Grants Direct Access by Customers; but deters high-volume shoplifting by allowing only one product to be removed easily at a time. Customers can handle the product, read the packaging, and compare to other brands; yet shoplifters are deterred. New Anti-Sweep Hook Design: Radical upturned tip and camel-back profile creates a twisting, circuitous product path preventing Sweeping. 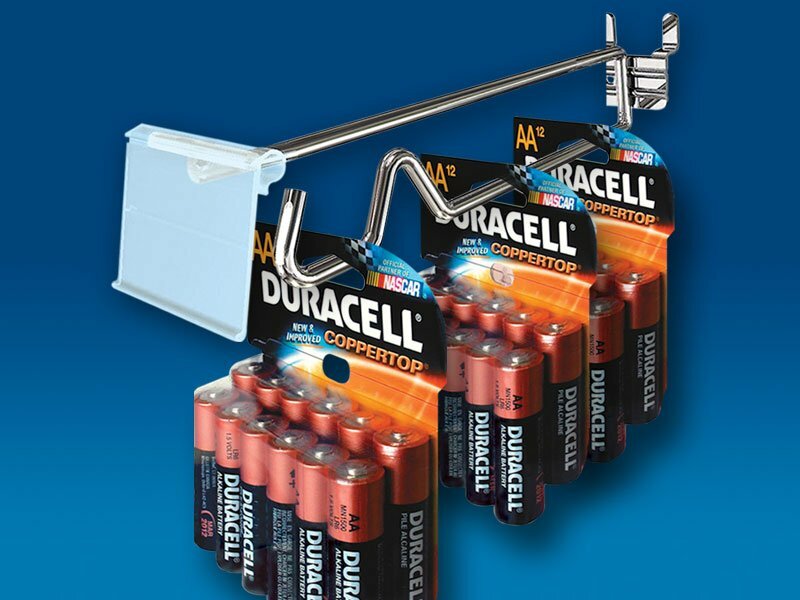 Level Front Staging Area: allows facing of a product for improved visibility and sales without any need for separate Inventory Control Clips. upturned tip insures positive retention of faced product. 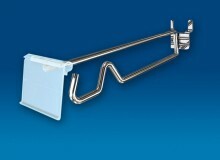 Flip Scan® Label Holder: conveniently swings up and out of the way. Employs economical plain-paper labels. Saves up to 65% on labels and up to 75% on labor over expensive adhesive labels. Solutions for Every Wall Surface: Available in a variety of backplate designs and hook profiles.